Do you want to add some color to your interior? Do you want to transform a space in your home into an office? 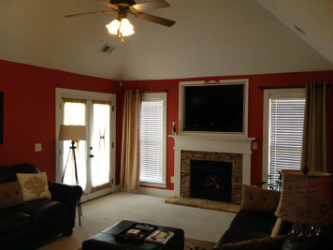 Do you want to create a man or woman cave or family room in your unfinished basement? Do you want to change your bedroom from drab to fab? Do you want your back yard to become an oasis? Are you simply ready for some interior updates; new window treatments; or new bedding? Are you having issues with storage and organization? Need to get your home prepared and staged to sell? If you answered yes to any of the above questions, Real Estate Practitioners has the solution, "K.A.T. HOMEBUILDERS."